A few months ago, our reader James Connelly made a late-year visit to Croatian coastline. Proving that there’s plenty to do on shores of Adriatic Sea, James even had an excursion to beautiful Island of Cres. This Croatian destination has an important role in the myth about Odysseus, as nymph Circe turned his crew of sailors and adventurers into hogs on Cres. The Isle is also known for its animal care shelter Caput Insulae, which takes care of endangered species of Griffon Vultures. And as you can see on the photo above, skies above Cres are also a sight difficult to forget. 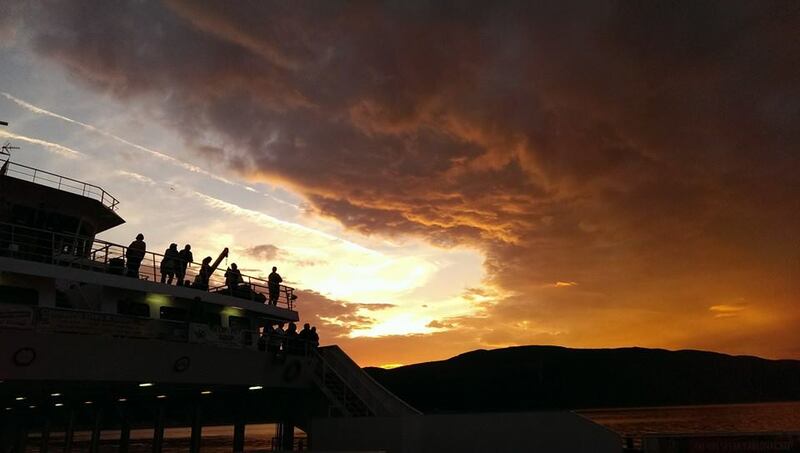 The photo was taken by James during his return from island to Croatian mainland. The sea was quite peaceful at that time, so the ride was smooth and pleasant. Thanks to beautiful skies above Cres, it was like sailing above waves of olive oil. Find out more about notable Croatian destinations from our archive, and consider visiting them in the upcoming summer! Wherever you go, be sure to send us a photo or two! Simply upload it to our Facebook Wall and earn a chance to become Like Croatia’s media contributor of the day.